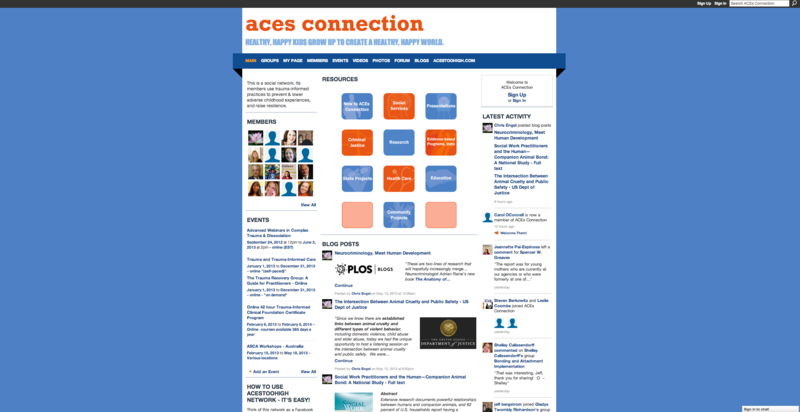 WINTERS, CA —ACEsConnection.com (ACEs stands for Adverse Childhood Experiences) is a niche social network primarily for professionals in education, criminal justice, public health, and government that work on ACEs related issues. As of May 2013, the network has over 950 members. It is run by journalist Jane Stevens, who founded the network alongside news site ACEsTooHigh.com. To read the Guide to Online News Startups profile of that site, click here.